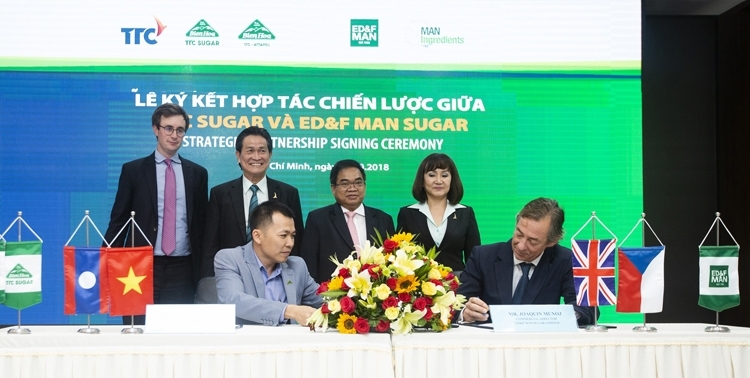 On October 26th 2018, at TTC Group Head Office (253 Hoang Van Thu St., Ward 2, Tan Binh Dist., Ho Chi Minh City), TTC Attapeu Sugar Cane Sole CO., Ltd - a member of Thanh Thanh Cong Bien Hoa JSC (TTC Sugar) has signed the strategic partnership with ED&F Man Sugar (UK) about the consumption of organic sugar produced in Laos and exporting TTC Sugar products in the fiscal year 2018-2019 to European market. 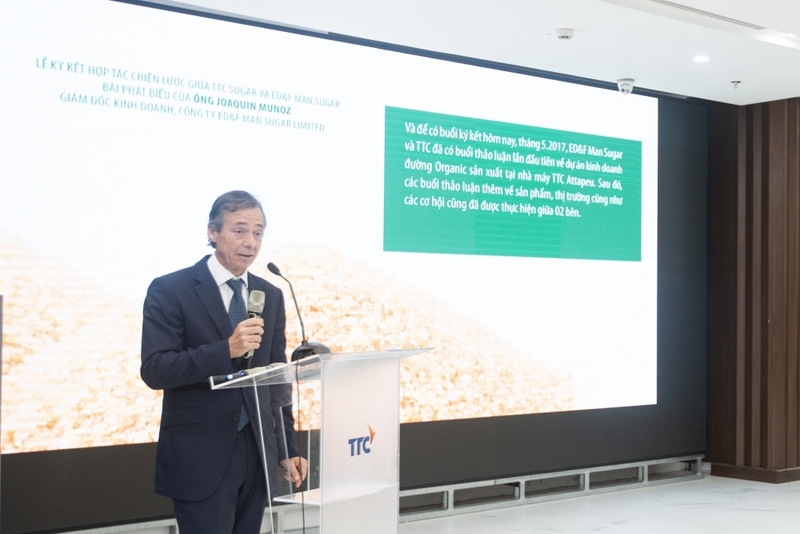 Accordingly, TTC Attapeu and ED&F Man Sugar signed the Memorandum of Understanding about supplying and consuming products, including Organic Golden Cane Sugar and Golden Cane Sugar in the next 5 years. The Organic Golden Cane Sugar is produced by TTC Attapeu factory in the fiscal year 2018-2019, following the organic standard from planting to processing. This product uses no GMO (Genetically Modified Organism) breed, no chemical fertilizers or chemical pest control, no bleaching powder or other chemicals, following the standard of ISO 9001:2008 and ISO 14001: 2004, FSSC, HALAL, Kosher… Additionally, the package of this product is also made with environment-friendly material. By qualifying all the organic standards, the Organic Golden Cane Sugar of TTC Attapeu has been certified by Control Union, following the standard of USDA and EU. 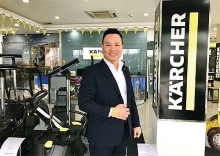 This product is qualified for exporting to potential but difficult markets such as North America and other countries worldwide. Besides, by cooperating with ED&F Man Sugar, the Golden Cane Sugar of TTC Attapeu will be brought to European market. The unique selling point of this product is the origin of 100% pure sugarcane, using modern crystallization method, no artificial color and odor, keeping the natural flavor from the golden color to the sweet taste of molasses. One of the main orientations of TTC Attapeu, or TTC Sugar in general, is developing the organic agriculture, producing high qualified products, creating high added value of Green - Clean - Sustainable Development. 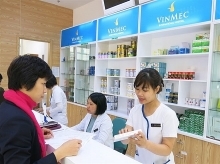 Base on the cooperation of respect and promote advantage of each other, together with the common goal of community health, environment friendliness, following the trend of clean and green live, the partnership between TTC Attapeu and ED&F Man Sugar is expected to create a successful result, bringing Vietnamese brands to European customers. 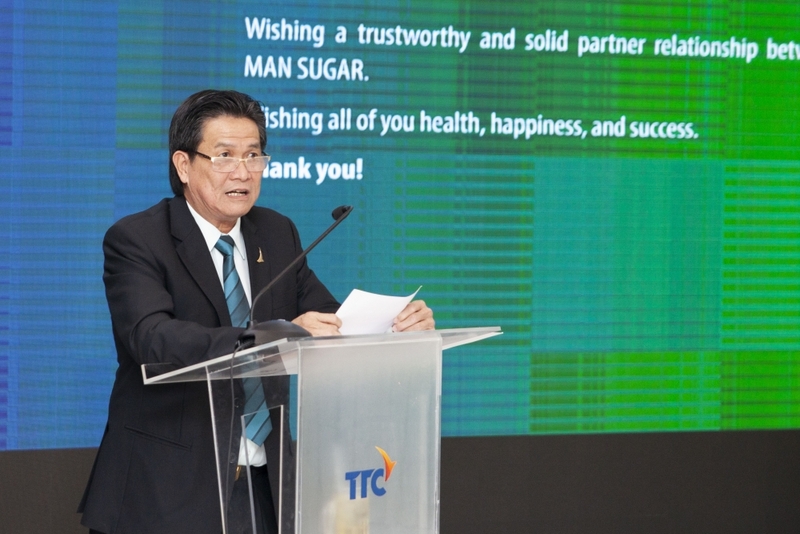 With 50 years of establishment and development, owning the solid production base with 9 factories, Thanh Thanh Cong - Bien Hoa JSC (or TTC Sugar; stock code: SBT) is one of the few companies that have ability to refine sugar from raw sugar. On the other hand, TTC Sugar owns 62,300 hectares of raw material zone. 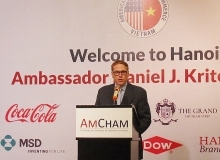 The company diversifies sugar products, focusing on high value product lines such as organic sugar, premium refinery sugar. Besides, TTC Sugar also produces sugar by-products and post-products such as: molasses (a material of bioethanol production), thermoelectricity, bio-fertilizer and drinking water to increase effectiveness.